» “Positivizing” your Mindset for a more successful you! Negative thoughts, ideas and mindset – especially when deep seated – can prove to be not just limiting, but also downright destructive! Don’t believe that? Consider for instance a woman; she thinks she’s fat, and that it is unlikely that she will find a man who will like her.This proves limiting because she’s so preoccupied with the thought that she won’t even go out and socialize. This limits her opportunities to meet a man who’ll like her for who she is and not how she looks. And eventually this same mindset can lead to loneliness, depression and a sense of inadequacy! When you go through life carrying the burden of negative thoughts, they cast a shadow on every idea you have – you always believe bad will come out of most things, you become a pessimist and pro-activeness goes out the window! Nothing good can actually come out of that! So, unpleasant thoughts can negatively “influence” you alright. But what if someone told you that they can even “physically affect” you negatively? Studies have shown that the molecules of water change form, and become more unbalanced and unpleasant in shape, when they are in the presence of negative thoughts! And the exact opposite happens with positive, inspiring actions and thoughts. So, while you are composed of about roughly 60% water, positive or negative thoughts would logically affect your physiology as well, won’t it? With that in mind, let’s look at how you can incorporate positivity in your life. Your sub-conscious, in direct opposition to what people believe, contains no real fixed “morality” as such. It varies from person to person and depends completely on memory and conditioning. When something bad happens as a response to something you did, the memory and the action are labeled as “to be avoided”. And your mind has already isolated that action as negative. However, the key is to realize that one rejection or a single instance of failure does not guarantee the same response for that same action every single time! But then your mind is quite a complex set-up and changing mindset isn’t as simple as that! You may tell yourself something repeatedly, but overriding the subconscious and rewriting any memory as something not-necessarily bad requires more concentration, and deeper introspection – a state that can be quite well achieved through sessions of self-hypnosis. So, induce a self-hypnosis trance on yourself, and you could get positivism either assisted or D-I-Y. For the first approach you can try any of the number of positivity scripts and videos readily available. 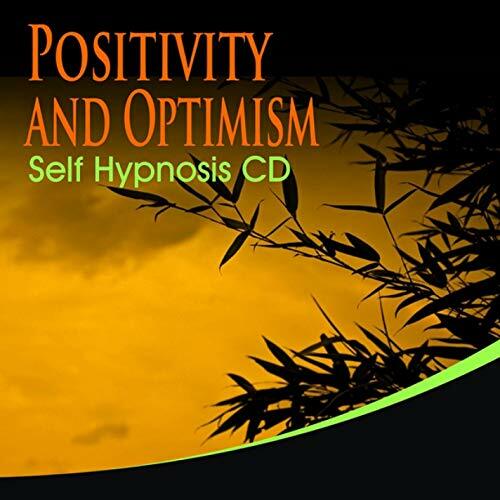 Or you can listen to the Positivity And Optimism Self Hypnosis CD. On the other hand, you could work out and record your own self-hypnosis script. The words that you come up with can have special power for you! Negativity has often been compared to a dark night. But it is probably more like a black bandana tied over your eyes and obscuring your vision. Use self-hypnosis to bring back the light of positivity and to throw the negativity out of your life! Previous Post Tweaking your Sub-conscious through Conscious Intervention! Next Post How to Recognize The Indicative Signs Of Being In A Trance?